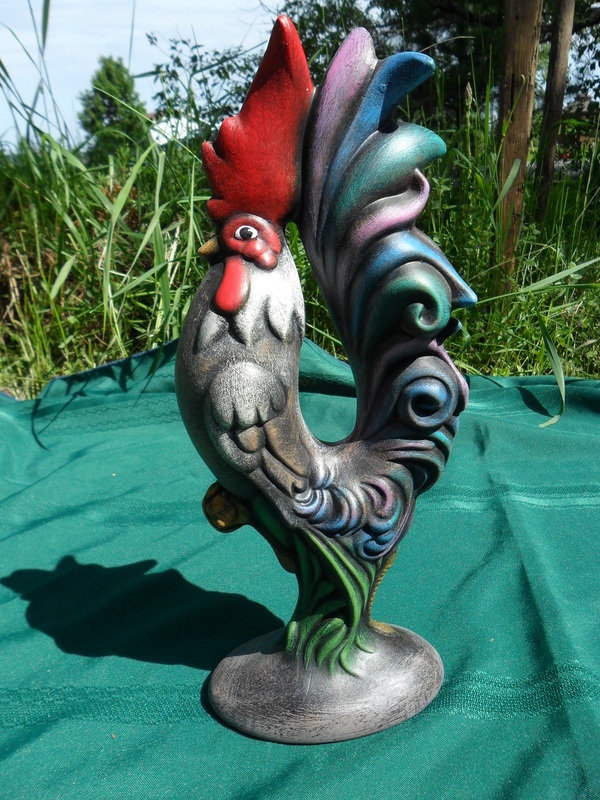 Beautiful and vibrant hand painted ceramic rooster. 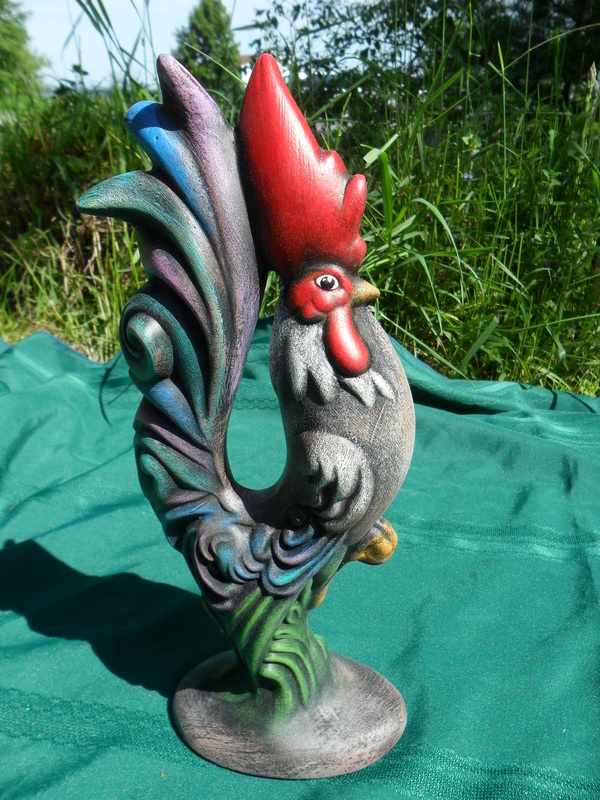 The rooster is in a standing position and the blue green and purple colours blend into a resulting bright and eye catching piece. 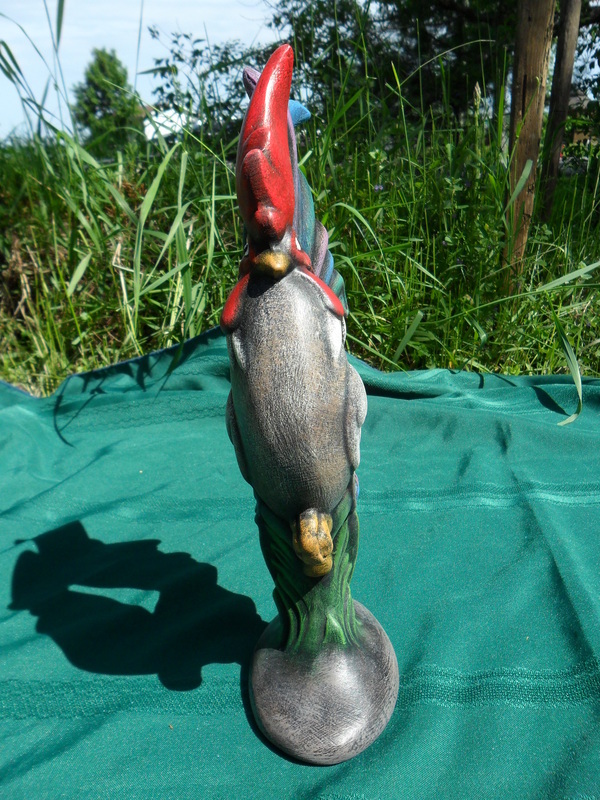 This piece is weather proofed so it is perfect for either indoor or outdoor decoration! Place it in your garden for some added vibrant colours! 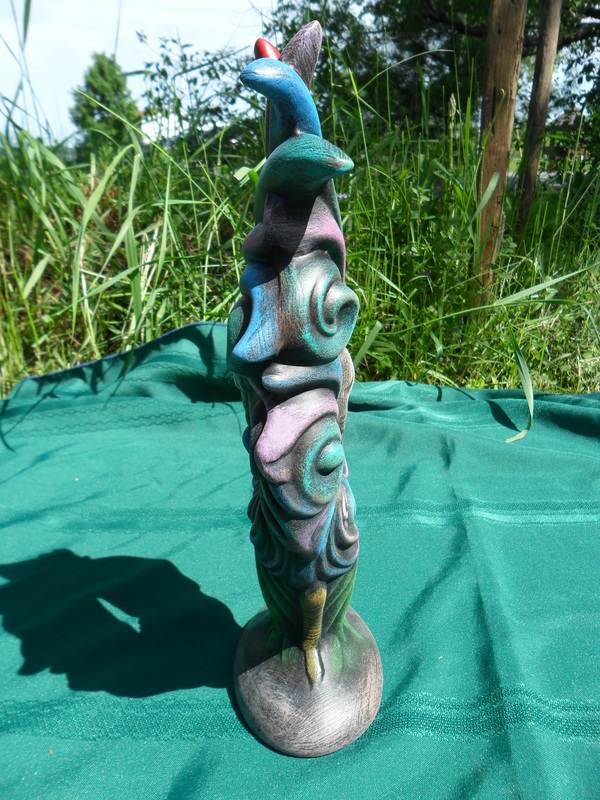 **This item is hand made from start to finish in my shop. We pour the mold, sand the item of any imperfections, fire in one of our studio's kilns. 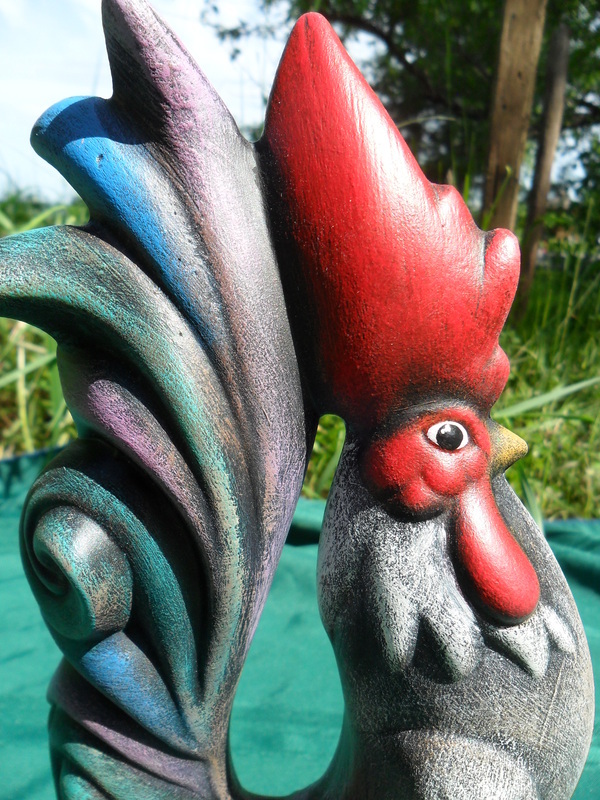 Finally I paint the rooster using a dry brushing technique with acrylic paints, which results in a textured, realistic and detailed look. I particularly love the vibrant colour mix of this item. The piece is then finished with a waterproof sealant.